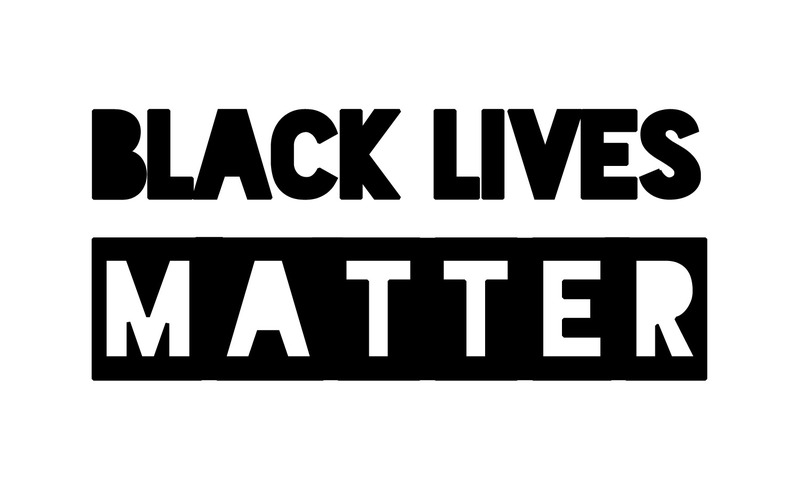 For a while now, I have practically remained voiceless when it comes to this cultural phenomenon "Black Lives Matter". I think I've been silent out of fear, just because I didn't want to be cast as one of "those" people, but then I realized that I indeed have a voice, an opinion and quite frankly I am hurt. I grew up in a world where the lines the separated black and white really didn't seem to exist. Most of my friends growing up, and even here recently are white, or of another race than myself. For a while, I really didn't feel like black people took me seriously. It was like they thought I was in this little oasis of "being white", "talking white", "acting white" and let us not forget "dressing white". However, I only associate with people now who understand that preferences and behaviors do not follow the social constructs of race and or gender... so I've gotten over that and now I can stand with my fellow Black people and talk about this. Violence is a huge no-no for me, wholeheartedly. I'm a talker, a negotiator, a planner... but I am not a fighter by any means. I'm 21, and the only gun I have ever touched is a water gun or a BB gun that one time when I pretended to be a Boy Scout. I've never been confronted with gun violence in my life, however, this is a situation that literally could've happened to anyone. I really hate the fact that people in general don't realize just how precious life is. We are given one opportunity to make all of our dreams come true, and the fact that someone can try and justify taking someone's opportunity, regardless of race, is completely and utterly wrong. How a piece of metal that's supposed to be used for self-defense, can literally take the most precious thing ever invented from someone, literally makes me want to throw up. Since America is so yearning to pull Christianity into everything, let me quote a scripture from Luke 12:48, "From everyone who has been given much, much will be demanded; and from the one who has been entrusted with much, much more will be asked." Let's take Alton Sterling out of this situation and think about the job description of a police officer. When did the job description of a police officer become to execute people? Correct me if I'm wrong, but isn't the job of a police officer to protect PEOPLE, meaning white, black, blue, purple and fuschia from danger? I'll wait for the correction of their job description... Ok, let's add Alton, Sandra, Eric, Tamir, Trayvon and Emmitt back to the equation. If a police officer were to kill one Black male, and this type of slaughter never makes national news again... I honestly wouldn't be typing this. However, this in its most basic form has become a destructive pattern. White police officers are killing black people. But they obviously have a type. It's the black man that to them hasn't accomplished anything, won't accomplish anything and to them, is a menace to society. I'm so sorry, but when I was 4 years old my father told me to NEVER judge a book by its cover. If America would just open it's eyes to see that racial crime is at its core terroristic. While we are focused so hard on the killing of our people by a religious group, let's turn around and see the fact that people who have birth certificate, driver's license and social security number, and not to mention are working for our city, state and federal governments are killing their own people. What's the world going to say when the next victim of this police brutality has a crystal clear criminal background, has a 401K and doesn't own a gun... but just so happens to be a black man? I can only visualize myself in situations like this... What if that was me, or my brothers, my cousins, my uncles, my father? Someone who I know and the people around them know that this isn't ok? America needs to tract back to kindergarten. In kindergarten I learned the most valuable lesson of my life, NEVER JUDGE A BOOK BY IT'S COVER. It's so sad that so much death, oppression, suffering, murder and now neglect has been the result of us failing to understand that easy, easy lesson. After Pulse, I really didn't think I could feel any more oppressed as a human being. Like I already have one strike for who I choose to love. However, knowing that something as basic as the color of my skin can cause me to lose my life when it's in the hands of the right person is causing me a special form of anxiety.For a while, I have been able to justify counteracting my friends and saying, "Well technically All Lives do Matter." However, at this point... Black Lives Matter, that's all I can say.